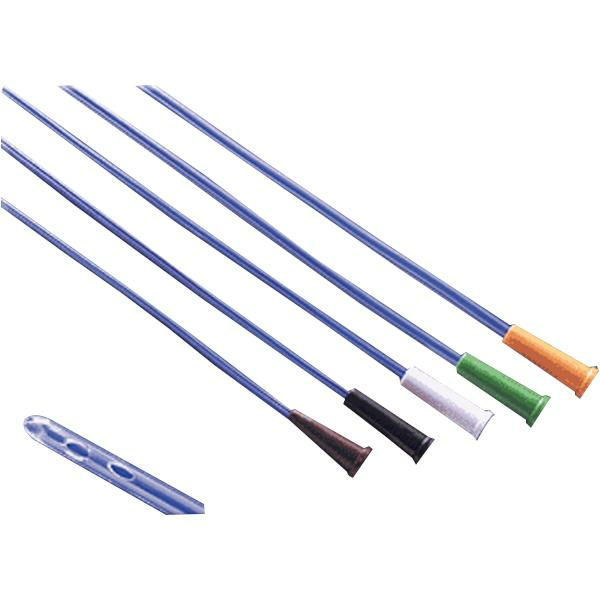 Rusch FloCath Hydrophilic Coated Intermittent Catheter With Straight Tip is a clear, high-grade medical PVC catheter which helps to eliminate any concerns of latex allergies. The hydrophilic coating helps to reduce friction and tissue irritation that can occur with the use of uncoated catheters. The hydrophilic coating is easily activated by soaking the catheter in water for 30 seconds, eliminating possible contamination when applying lubricant to uncoated catheters.